To be eligible for student aid, you must attend a designated institution and be enrolled in an eligible program. You can also check the student loan repayment and rates of the institution you wish to attend. What do I do if my institution is not designated? What is the loan repayment rate for your institution? The government designates post-secondary institutions for both federal and provincial student aid. As outlined in the StudentAid BC policy manual, designated institutions are expected to focus on your success, and on ensuring you improve your overall employability. Find out if the institution you are planning to attend is designated. The provincial accreditation and designation process ensures that standards of integrity and educational competence are met by private institutions offering post-secondary education in B.C. The StudentAid BC designation process is voluntary for private institutions in B.C. Accredited by an act legislating authority of an institution. Institutions outside of British Columbia (within Canada) must be recognized by their provincial authority. Institutions in the United States must be listed on Title IV - Free Application of Federal Student Aid (FAFSA) for institutions in the United States. Title IV - Free Application of Federal Student Aid (FAFSA) for institutions in the United States. Education institutions can apply for StudentAid BC designation. If your institution is not designated, please contact the institution (e.g. Financial Aid Office, International Office, Registrar’s Office) to request they apply for designation. Your institution must be designated prior to submitting your StudentAid BC application, as designation is not retroactive. This process should be initiated well in advance of your studies because the application process may take several months to complete. To initiate the designation process, please ask your institution to complete the Designation Application. If you are not sure if your institution or program of study is designated, contact the institution directly. In the event of any discrepancy between the Institution Search tool and Ministry records, Ministry records will be the official record. Below you will find information on the repayment of Canada student loans. This information is provided to help students make informed decisions about their post-secondary education investment. The repayment rate refers to the percentage of Canada loan dollars that have been repaid by former students that attended the institution. The higher the number, the better the results. Rates below 60.0% are considered high risk. This information pertains to Canada student loans. Information about provincial student loans is not included. 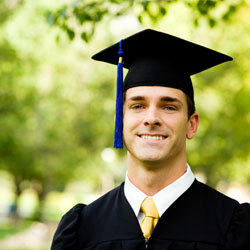 Canada student loans represent about 60% of the government loan funding available to borrowers. Only educational institutions designated and located in British Columbia are included. “n/a” means the institution had 10 or fewer borrowers in the given cohort. Only designated educational institutions with more than ten borrowers have data reported, for privacy reasons. "n/d" means the institution was not designated for student financial assistance in the given reporting year. This information is based on full-time borrowers who consolidated their loans within a one-year time frame. A borrower's loan is consolidated six months after their last day of study. For example, the 2014 repayment rate is based on borrowers who finished their studies between February 1, 2012 and January 31, 2013 and consolidated their loans between August 1, 2012 to July 31, 2013. The repayment rate is the percentage of the total loan dollar value not in delinquency or in default at a single point in time (July 31 of a given year). The following formula is used to calculate repayment rates for each designated educational institution: [(principal paid + principal in good standing) ÷ principal at consolidation] x 100%. The "Borrowers" column shows the number of borrowers at the institution in the most recent reporting year (2014). Borrowers who attended multiple educational institutions are included in the totals for each of the institutions attended.